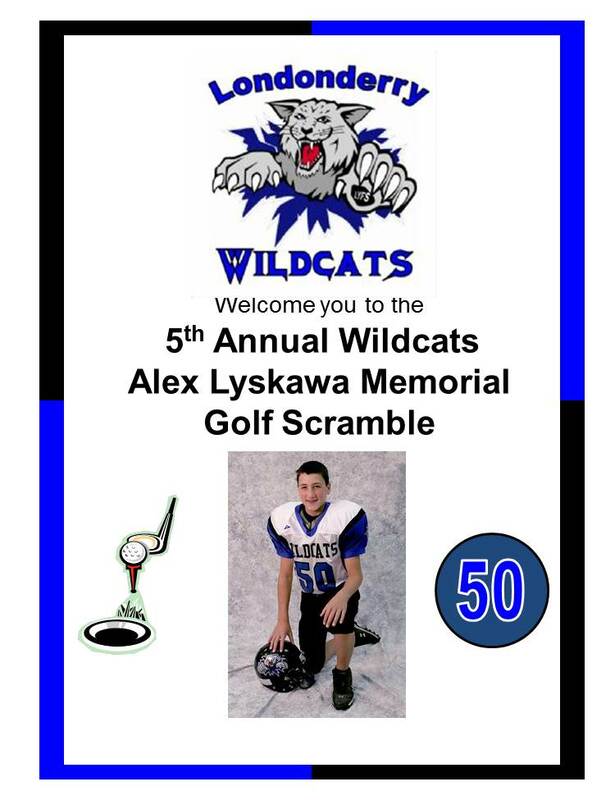 The 5th Annual Wildcats -Alex Lyskawa Memorial Golf Scramble took place on Friday - October 26, 2012 at the Windham Country Club. Golf followed by Lunch Awards Banquet (Lunch, Golf Awards, Auction & Raffle). This LYFS "Signature Event" pre-funds our annual LYFS Scholarship Fund, which in 2012 awarded 10 scholarships to graduating seniors and 2 youth Wildcat youth level scholarships along with participation and contribution in the NHYFSC scholarship program. 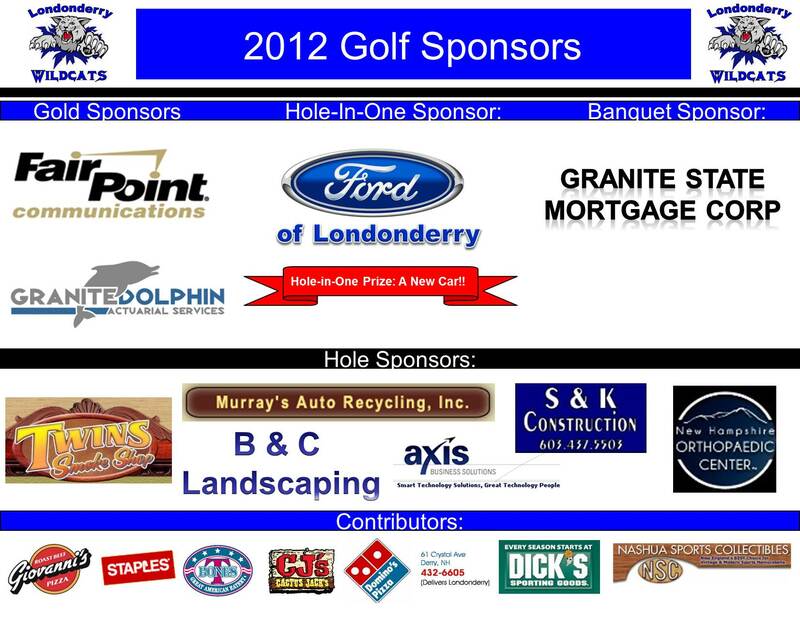 We Thank our 2012 Sponsors for making this another GREAT Day! !